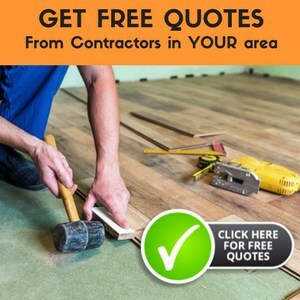 As with any type of flooring, it is important to consider the needs and uses of the rooms where you’ll be laying down tiles and the care and maintenance needed for each. While using tiles in your home this can safer from defects. Tiles stone is the hard-wearing material using to decorate your home or business floors. The tile floors may be a ceramic, stone, metal or glasses. Tiles also used to floors, roofs, walls, shower, and even table tops. But usually, tiles are used in floors. Because it thinner and more durables. The natural stone tiles are may be a marble, onyx, granite or slate. Granite is very dense and hard. Its unique quality than others and a lot of colors are available in shops. Once you polish the granites it can resist the cracking. It mostly used in high traffic areas. Marble is more porous than granites, so it can use on the regular basis. Slate is more smooth and honed finish. It also uses a kitchen and traffic floors. Ceramic tile floors provide a luxurious array of colors and patterns. They are also one of the easiest to care for and maintain. The utmost important thing of keeping the flooring bright enough and have a good life time, is only by maintain them with proper cleaning solutions. Just with a regular all-purpose cleaner and a soft mop or sponge, you can clean up just about any stubborn stain or dirt. The very best solution for cleaning the natural stones is the basic soap oil. It will not deposit any residue on the flooring and so we can prevent some pores or divots over the flooring. Be sure to vacuum or sweep the tiles prior to cleaning and rinse with clean water to avoid dulling the finish. Drying the solution or water over the flooring is the most important thing for maintaining it without any stain or creating holes later over the flooring. Steer clear of cleaners that contain acids or ammonia as they might damage some ceramics.If you’re looking for tiles that provide beauty, extreme durability, stain resistance and better footing than regular tile floors (especially for outdoor applications), consider a slate tile floor. Slate tiles do need somewhat more maintenance than ceramic floors and are susceptible to oil stains, even from skin. It is recommended that you apply a sealant to slate on a regular basis and promptly clean up stains with diluted hydrogen peroxide (50-50 solution with water). Garage floor contains mats and tiles. Garage floor tiles can help safeguard your garage’s floor from the corrosive effects of automotive and certain household products such as antifreeze, washer fluid, oil, paint, and solvents. It has three types of rigid plastic, flexible rubber, and plastic tiles. Look for tiles specifically designed for garages and that provide special interlocking tiles that prevent see-through of liquids. Although garage tiles are virtually maintenance free, always clean up any spills as soon as possible, And also easy to remove garage tiles from the floors. The biggest problem in garage floor is high cost, generally starting price at above $2.50 per square foot. Vinyl floor is one of the most popular choices in flooring for its ease of installation, low cost, and the wide range of patterns and colors. Although vinyl tile flooring tiles may seem to require little or no maintenance, it is susceptible to damage and discoloration from various sources. Clean all spills promptly with all-purpose non-toxic cleaners. Avoid exposure to bright sunlight, as it will cause vinyl to discolor and expand. As vinyl is quite soft, avoid walking on it in heels or dragging furniture across it. This type of tile size is 12”x12”, so it can fetch in kitchens, mudrooms, bathrooms and playrooms. Vinyl tiles have warranty range from 5 to 25 years and this cost at $0.50 to $4.00. Laminate flooring is the multi-layer synthetic product with a lamination process.For laminate flooring tile, cleaning can be best achieved using ammonia or vinegar with water or other window cleaners. As with all flooring tiles, be sure to vacuum or sweep up loose dirt and other particles before proceeding to the wet cleaning phase.When cleaning tile floors, the best advice is to always read the manufacturer’s recommendations. Although it isn’t essential to buy their particular cleaning product, you should use products with an identical chemical composition in order to safeguard your flooring investment.